I thought this one would be easy to find out about but I was wrong. I can't find anything in this shape or pattern. 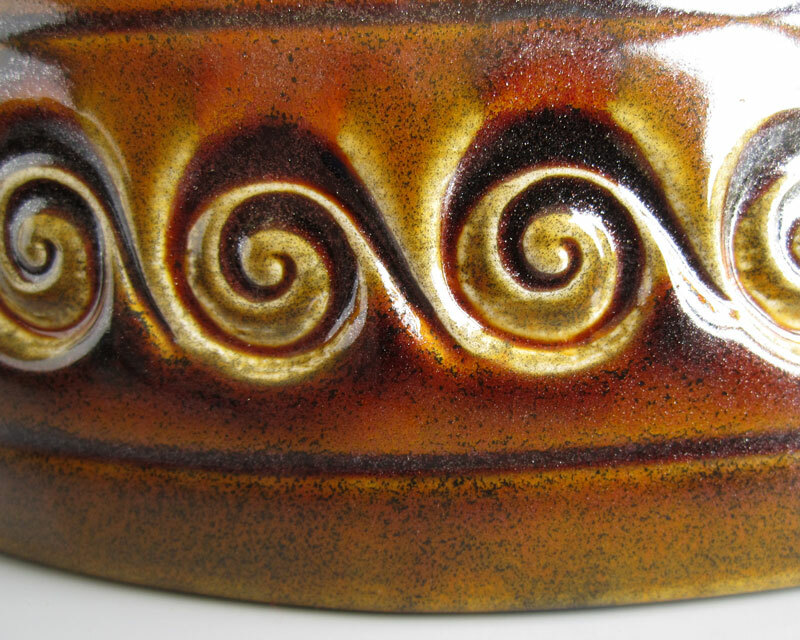 The swirls are a bit like those in the Totem range but that's where the similarity ends. 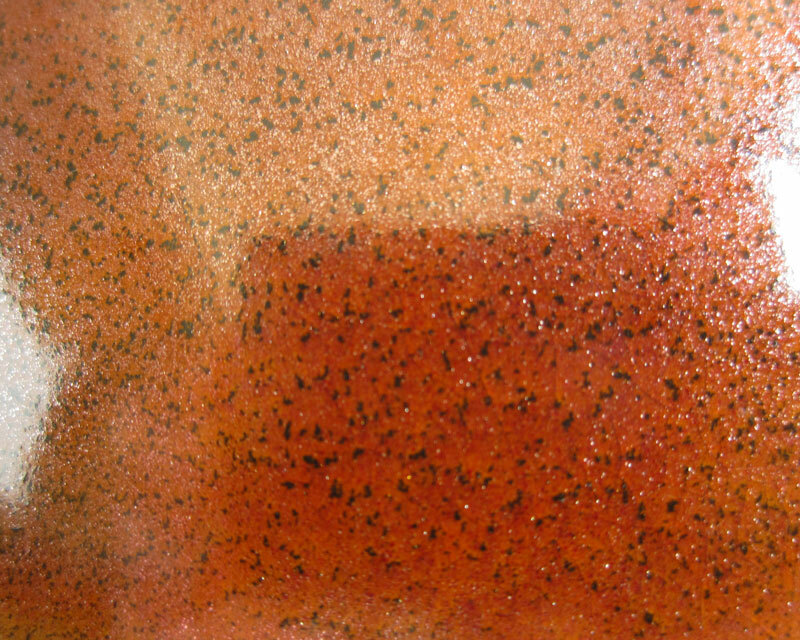 The glaze is very different to the Totem pieces - sort of speckly and glittery. Also the clay is thinner than most Sylvac pieces I've seen. 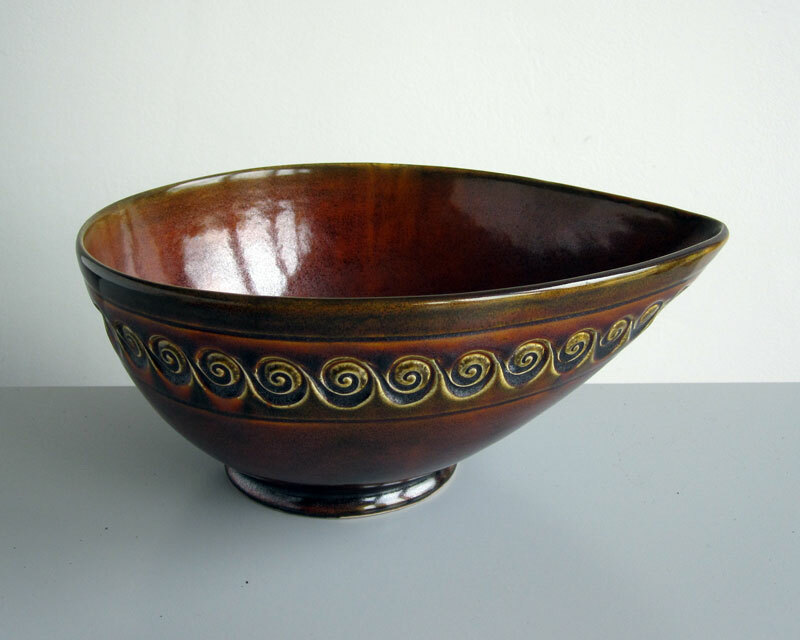 It just looks like a different (better) quality bowl than your average bit of Sylvac. 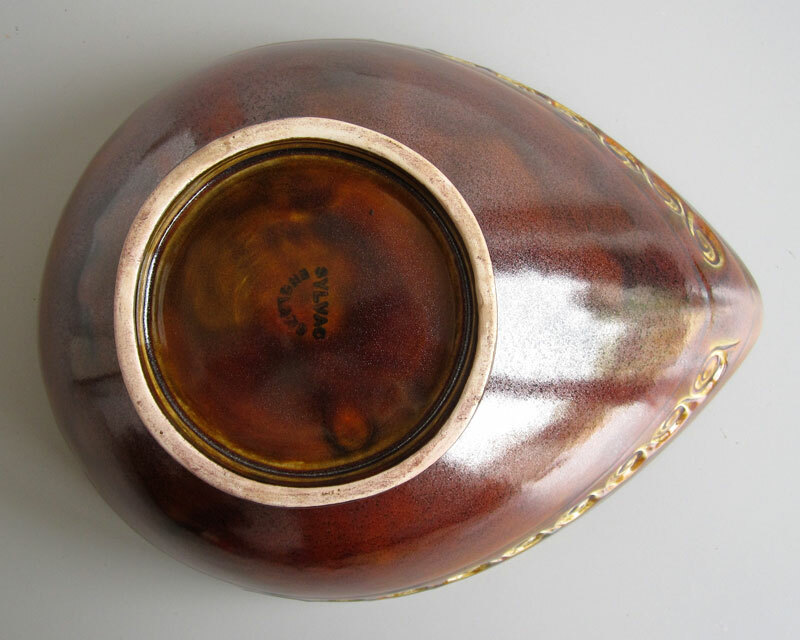 It's about 9cm high and the top hole 22 x 17cm. Can't see that pattern in my Sylvac book (The Sylvac Story) but the backstamp dates to 1940's-1950's. 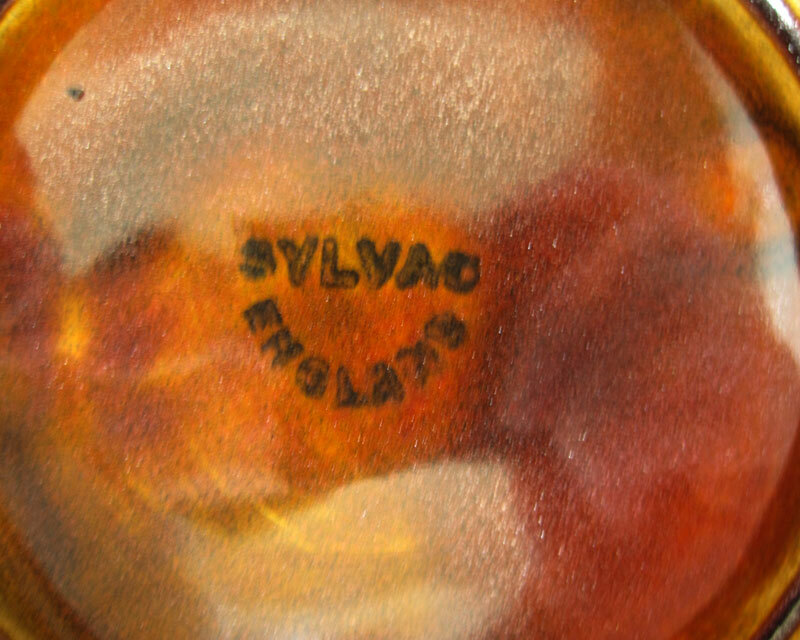 tigerchips wrote: Can't see that pattern in my Sylvac book (The Sylvac Story) but the backstamp dates to 1940's-1950's. Thanks Tiger. Still a mystery then. I wonder if it was an early experimental piece for the Totem range. 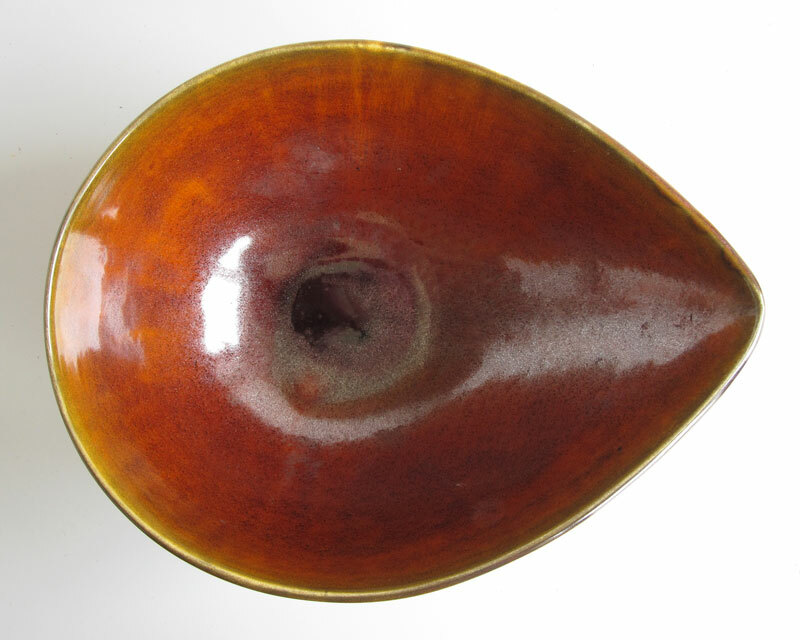 That speckly glaze might have proved too difficult to replicate with any consistency.